As we approach the first weekend in July 2018, one word summarizes this season: weather. 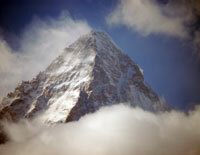 It is appearing that teams will need some serious relief from the heavy snowfall if there will be summits this year. This weekend 6-9 July there are several consecutive good weather days, for the first time in a while enabling at least the Northern Pakistan teams to tag Camps 1 and 2 and the Sherpas to work on getting the route to C3. There has been enough time for the heavy snow earlier this week to settle but avalanche risk is a constant factor. But next week, some forecasts call for 6cm/3-inches of new snow on Monday then 15cm/6-inches additional snow on Wednesday and Friday. Let’s hope this forecast proves wrong. In any event, this weekend is busy with teams trying get at least a couple nights at altitude for acclimatization. Dawa Sherpa with Seven Summits Treks has taken the lead in fixing the ropes on K2. He reports progress during this good weather break, “SST K2 international Expeditions team 6 members and 6 Sherpas second rotation safely arrived camp one” Japanese climber Akira Oyabe and three of his team “touched Camp 2.” Jason Black and Canadian Nathalie Fortin was planning on reaching C2 this weekend. No current updates. 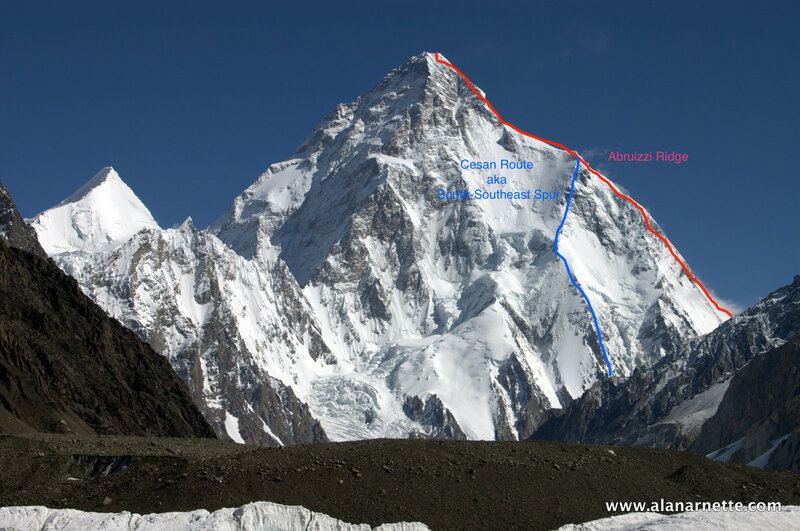 Broad Peak – Climbing and a Weekend Summit Push? Furtenbach Adventures, running a BP and a K2 trip said they were going for the BP summit over this weekend of good weather. They are being focused in order to move over to K2 as soon as possible. Other teams may wait out this next week of bad conditions and target mid to late July for they BP summit push. This will also give them time to further acclimatize. Jake Meyer is doing a great job updating his Blog. He is aiming to summit K2 but acclimatizing on Broad Peak, “All things being good, we’ll head back up BP for our second rotation tomorrow morning, this time planning to stay 2-3 nights on the hill, and ideally sleep at Camp 2 (6200m), which will be good for our acclimatisation. My bag is packed, ready to go, and although the weather is still not great, hopefully the forecast of higher pressure tomorrow and for the weekend will prevail.” David Roeske, Carlos Garranzo, and Fredrik Sträng also expected to be at the high camps this weekend. Adam Bielecki continues his wait and see mode on G but may be up this weekend along with Masha Gordon and Helias Millerioux, Yannick Graziani trying to traverse G1/G2 traverse. Mike Horn, Alex Gavan and Tunc Findik, all exceptionally strong and experienced climbers, have ended this summer efforts on NB due to weather. Maya Sherpa appears to still be there. I’m deeply saddened to report the loss of a climbing friend this past week. Paul Samuel, 55, from London, Slovenian female climber Eva Zontar Litija, 27, and their Peruvian guide Jaime Quintana Figueroa, 40 were hit by a snow avalanche on the Ferrari Route on Peru’s Alpamayo, 5,947meter/19,511 feet . 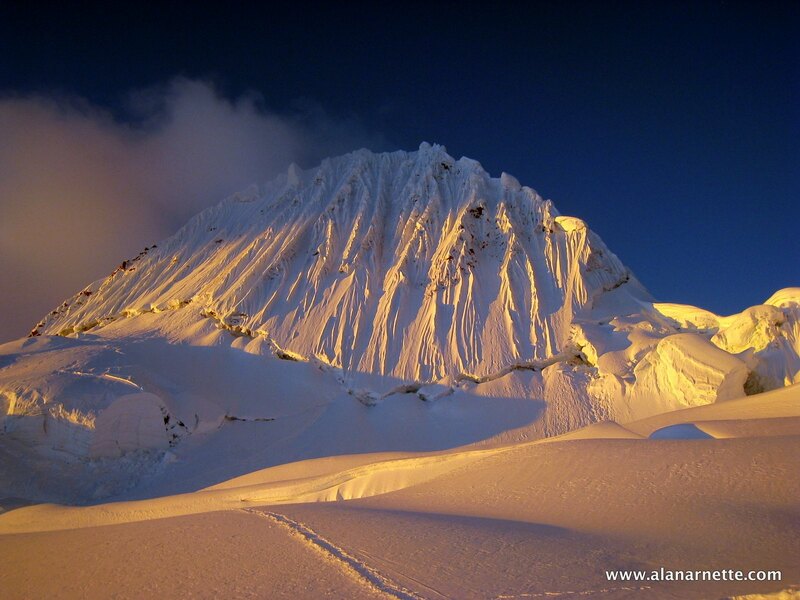 Correction: The ill fated Alpamayo trip was not organized by the company I previously showed – per their owner. I removed the company name.